Like they do most years, NJ punk/indie label Don Giovanni is throwing a series of showcases this year. This is the first of two in Brooklyn, and there’s also one in Philly on Saturday. Saint Vitus is playing host to the cosmically-inclined extreme metal festival Stardust Fest once again in 2017. 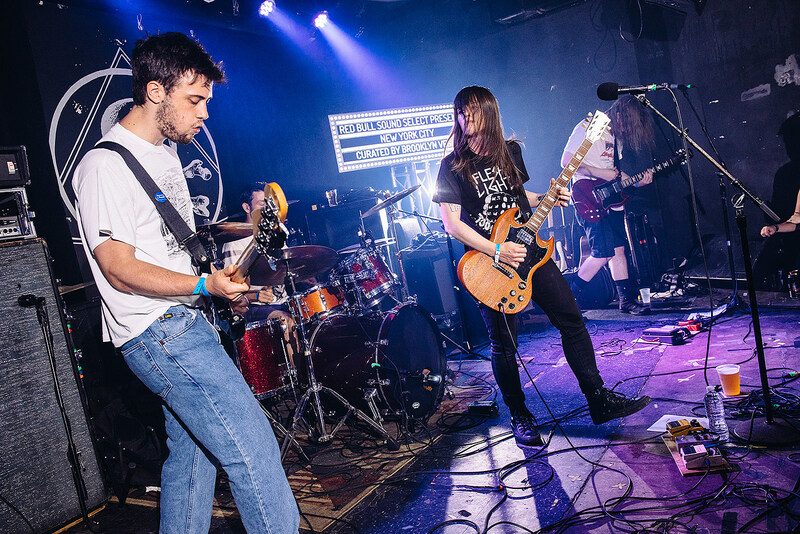 The 4-day event brings in a ton of underground metal bands from all over the place for a long weekend that promises to be weird, heavy, and spacey in equal measure. This is night 1. Heartland punks The Menzingers will release their anticipated new album After The Party on Epitaph this week and they’re celebrating with three in-stores in the Northeast. This is the second. Stef Chura makes hooky indie rock that has a way with a turn-of-phrase, too, maybe somewhere between Liz Phair and Throwing Muses. Her new album is out now via Detroit’s Urinal Cake records (who put out the first Protomartyr album). It’s a very intimate show for musician and visual artist Joseph Arthur who often combines those two interests on stage at his shows. It’s a double dose of effervescent synthpop as the UK’s Chad Valley and NYC’s Computer Magic bring their tour to Brooklyn. We’re not huge fans of the headliners, but this is a chance to see Andrew Bird, who’s still riding high off the strength of last year’s Are You Serious. This is night 1 of 2. Anna Wise may be best known for singing on several Kendrick Lamar songs, but her own material is pretty great too. This is a solid double bill, with pop boundary-pusher Deradoorian. The prolific Marco Benevento has been at it for over a decade, playing with The Grateful Dead’s Phil Lesh, Phish’s Trey Anastasio, Joe Russo and more. He’s also a solo artist, with a handful of good albums under his belt. Last year he released The Story of Fred Short. Opening is WOLF!, the project of another Joe Russo collaborator, Scott Metzger.